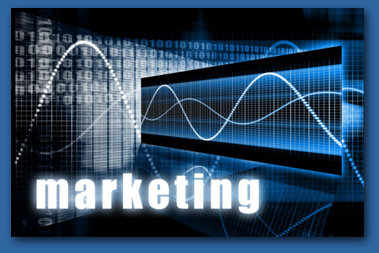 Marketing is one of the keys to successful property management. Every day your investment is occupied means more income for the property owner. Our Honolulu Property Management Team utilizes it's marketing skills to provide a comprehensive professional management service to owners of income producing properties. Based on our significant Honolulu Real Estate and Property Management experience, our management team nurtures each asset individually in order to develop the most profitable and well-positioned property in its respective market. Through a hands-on team approach, our Honolulu Property Management Team effectively achieves client goals, while increasing short term cash flow, and long term value. Working directly with owners, our Honolulu Property Management Team provides both the personal attention of an in-house manager and the sophisticated resources of a large asset management firm. Our Honolulu Property Management portfolio includes providing complete management of both vacation/corporate rentals and long-term rentals, including single-family homes, condominiums, and small apartment complexes (less than 16 units). Long term property value is improved through comprehensive management that addresses such areas as: leasing and tenant relations, immediate and deferred maintenance, cash flow, financing variables, and possible repositioning to capitalize on market potential. We take great pride in every asset that we manage, maintaining each with the care and professionalism our clients have come to expect. 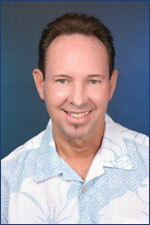 Our Honolulu Property Management Team will devote time and energy towards looking after your best interests. From finding the right tenant to keeping up with repairs, from property inspection to year-end accounting, let us make your life easier. With us as your hands-on partners, you'll enjoy maximum income with minimum effort, while we keep your property occupied and well maintained. We personally promise you the best in property and leasing management, with individual care tailored to the needs of you and your particular investment. The National Association of Realtors recently did a study that indicates 90% of all consumer real estate related searches (including short and long term rental properties) were conducted via the internet. We understand and utilize the marketing power of today's technology and we market our properties only on the top rated online search engines and websites to give your property maximum exposure, resulting in a low vacancy rate (which means more income in your pocket). Knowledgeable about our industry and about the laws affecting rental properties, we keep our forms, addendum's and disclosures up to date. We are members in good standing with Honolulu Board of Realtors (HBR), Hawaii Association of Realtors (HAR), National Association of Realtors (NAR). Our clients benefit from our expertise, gained through more than 30 continuous years of service in local Real Estate Sales and Property Management. Our clients know they'll receive superior service with unmatched attention to detail. We bend over backward to care for every property as if it were our own, keeping a close watch on its condition and ensuring that it is carefully maintained. We truly understand that owners depend on timely rental income, upkeep of their property, and communication. We will do what it takes and spend the time necessary to get the job done!